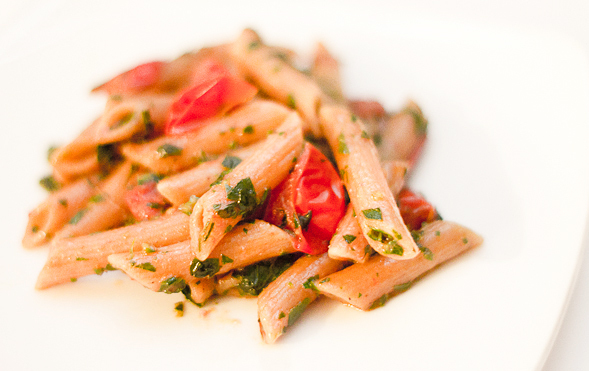 Here is another delicious pasta recipe using minimal ingredients. I came up with this dish trying to figure out what to make for lunch. It’s also great for a last-minute dinner since it’s so easy with only a handful of ingredients. A jar of anchovies in olive oil should be a pantry staple since a little adds a ton of flavor for pasta sauces. 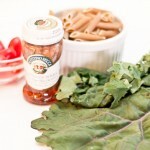 I chopped the kale leaves very fine, almost pesto-like and added it to the anchovies and tomatoes to create a bold sauce. You can also use a good amount of arugula if you don’t have kale. Add anchovy filets to pan. 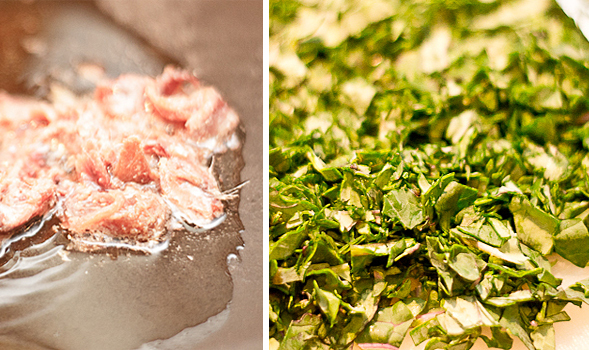 In the meantime, finely chop kale leaves and set aside. Mix in tomatoes with the anchovies. 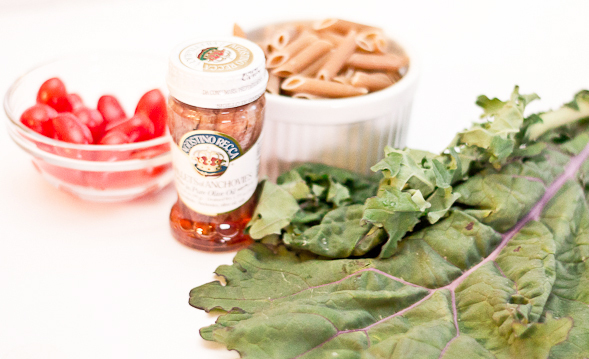 Mix anchovy tomato sauce together with the chopped kale, then add pasta and toss. Cook pasta according to package instructions, until al dente. Reserve about a 1/4 cup of pasta water for cooking at the end if you need more sauce. In a pan on medium-low heat, warm a tablespoon of olive oil. Add anchovy filets and cook until a light sizzle for about 3-5 minutes. Raise heat then add tomatoes and cook down for about 10 minutes. Season with red pepper flakes, salt and pepper. Stir in kale and cook for about 1-2 minutes. 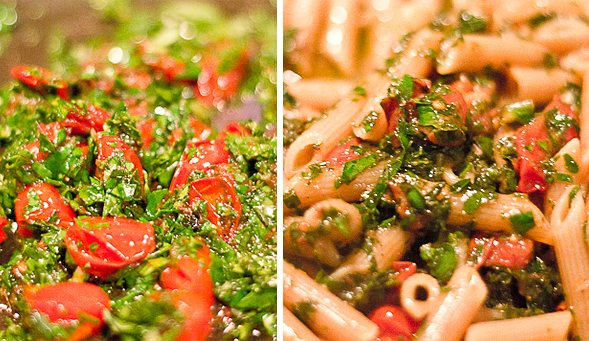 Toss pasta in the pan with the sauce and mix well to combine. If it seems dry, just add some pasta water.